Amish fiction has really evolved these past few years. It is not simply finding love. The characters now have more depth and heart than ever before. I love this evolution and it has really drawn me to the genre more than ever. 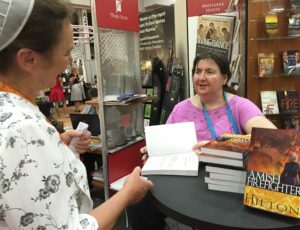 I was excited to participate in the Amish Wanderer by Laura V. Hilton. This was the second book I've read by Hilton and I can see myself reading more. This story is set in an Amish community. The two main characters have had a very hard life. Emotional and physically they have been through some roller coasters for such young people. I love how the story focuses on how in spite of all God loves you and has not forgotten about you. Even if life is hard. Hilton weaves a salvation message seamlessly into the story which I appreciate. The characters learn about the TRUE LOVING GOD in a natural fashion. Sometimes this kind of thing can be forced but that was not the case in this book. The community included many sweet additional characters and I would love to see this turned into a series featuring a few of the characters. I feel like there is more to explore even with our main characters Bethany and Silas. Speaking of the main characters. They were well written with a great deal of depth. You can see how their past has molded their traits and why they react to situations they way they do. All in all this was a delightful read that I really enjoyed. 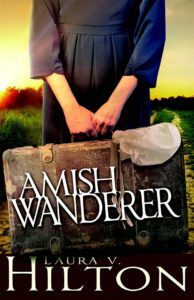 Purchase You Copy of Amish Wanderer at your local book store or online at stores like Amazon. Thanks for the review. Looking forward to reading her book.